Looking for new homes in the Pleasant Grove area? Anderson Farms is the answer. Ivory Homes is thrilled to be building new construction homes in Lindon. This community is located right off of I-15, which makes those commute times convenient whether you work in Lehi or Provo. American Fork Shopping Center is under 10 minutes away and features many dining, shopping, and entertainment options. One of the most exciting parts of this charming neighborhood is the future park going in across the street. The park will house pavilions, basketball courts, soccer fields, and baseball diamonds. It is sure to be a great addition to the community, and it will be perfect for those warm Utah summers. 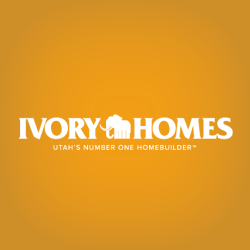 Ivory Homes has been Utah’s Number One Homebuilder for 29 years and running.